WSU College of Veterinary Medicine held its 19th Annual CVM Student and Post-Doctoral Research Symposium, showcasing quality research. A decade of organizing sports physical clinics for Vancouver-area students made Melody Rasmor a “Real Hero” to Clark County leaders. 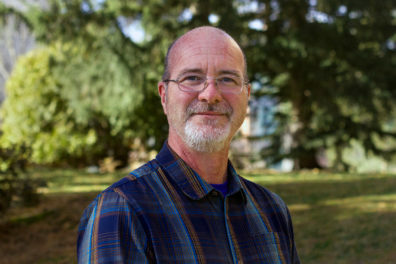 John Peters, director of Washington State University’s Institute of Biological Chemistry, has been named a Fellow of the American Association for the Advancement of Science. Keesha Matz knew there were no guarantees when she put in long hours on top of her considerable academic load to complete the Goldwater application late last year. But using her previous experience and guidance from mentors in WSU’s Distinguished Scholarship Program, Matz was named a Goldwater Scholar in 2017, joining fellow WSU students Amelia Brown and Julianna Brutman on the hallowed list. The composition was premiered in January 2017 by the Baton Rouge Symphony, conducted by Timothy Muffitt with soloist Willis Delony, the Virginia Martin Howard Professor of Piano and professor of jazz studies at Louisiana State University. Both Muffitt and Delony submitted the nomination. Her nominator praised her for her Cougar Spirit, for anticipating needs and exceeding expectations, and providing superior customer service. WSU student Eric Navarro won best poster presentation in Animal Science and Zoology at the 2017 National Diversity in STEM Conference hosted by the Society for Advancement of Chicanos/Hispanics and Native Americans in Science conference. Cornelius Adewale, doctoral student and sustainable agriculture pioneer at WSU’s School of the Environment, is the third WSU recipient of the $100,000 prize in the past six years. 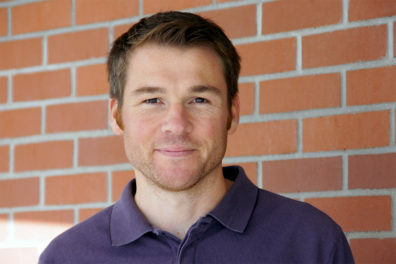 His research focuses on improving the environmental impact of agriculture while producing more food. 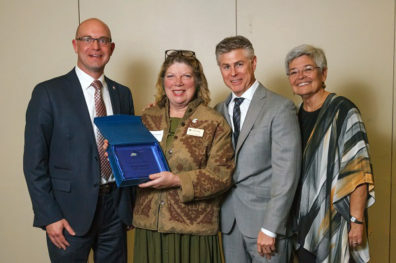 The Washington Council of the American Institute of Architecture presented the Troy Hall renovation project with its Civic Design award. The focus of the renovation was to retain the building’s historic feel and brick exterior while creating a modern academic teaching and interactive research environment. The research team developed a sophisticated electrochemical scaffold that could help curb the spread of deadly drug-resistant bacterial wound infections. The e-scaffold creates an electrical current that produces a low and constant concentration of hydrogen peroxide, which allows better antibiotic penetration and efficacy against bacteria. The NASPA Foundation, a national group dedicated to the advancement, health, and sustainability of the student affairs profession, has selected Gonzales as a 2018 Pillar of the Profession. The award recognizes outstanding contributions to the field of student affairs. Three Washington State University researchers were recently honored by the Ecological Society of America. WSU’s newest chancellor, vice presidents and dean will be recognized by President Kirk Schulz in a Crimson Coat Ceremony set for Oct. 19. Newly elected National Academy of Medicine member M. Kariuki Njenga recently talked about his election to the National Academy of Medicine and his efforts to address human-animal diseases.